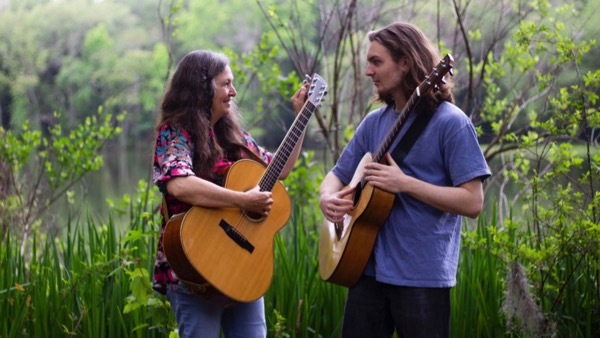 As most of you know, my son and I have been working together as a duo for a little over a year now. We played our first full length show together in January at the SECOND SUNDAYS CONCERT SERIES in Fruit Cove which is held next to the historic home of Stetson Kennedy. What a lovely venue it was and we had a great time. It was my first visit to Stetson Kennedy’s home and I fell in love with his rustic cedar cottage on the water overlooking a stand of cypress trees. The home is a historic site dedicated to both Stetson Kennedy and his good friend Woody Guthrie. Sam & I continue to add songs to our repertoire and are eager for opportunities to share our arrangements with you. Playing with Sam is so much fun, and I feel so very, very fortunate to have this creative time with him. You can learn about our upcoming shows in the COMING UP SOON section of this newsletter. We love playing listening rooms and house concerts, so if any of you feel like hosting an intimate concert with friends in your home we’d definitely be interested in helping you to achieve that! Spring came early this year in Gainesville, and with all the rain, the flowers have been amazing! We didn’t have a single freeze in our yard this year! In the Fall I seeded my front yard with wildflowers. Now those wildflowers, along with my amaryllis, coral bean, porter weed and milkweed, are attracting Monarch and Gulf Fritillary Butterflies. Caterpillars are crawling around already and I’m seeing eggs on the milkweed leaves! 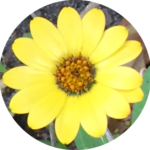 A little sampling of flowers in my garden is shown below. About a month ago I tore the meniscus in my right knee while playing tennis. It wasn’t a fall, just a hard jump to the right at the net. Luckily, I’ve recovered my ability to walk around with negligible pain, though it took four weeks to get to this point. I am so very grateful to have my mobility back. The down time (about 3 weeks with my leg up in bed) was a good time to focus on writing and learning new guitar techniques, and for Sam and I to work out arrangements for a few more songs together. It also was a good time to pull inward and do some meditative work. When life tosses you lemons, make lemonade right? Life did toss me lemons this year, more than eight dozen beauties from my little tree that could. Once I have recovered enough to stand in the kitchen I got to work juicing, making jam, rinding, making pies, and yes – making lemonade infused with ginger and mint. Most of this involved a serious amount of sugar so it is a good thing I’ve passed most of the goodies on to others! 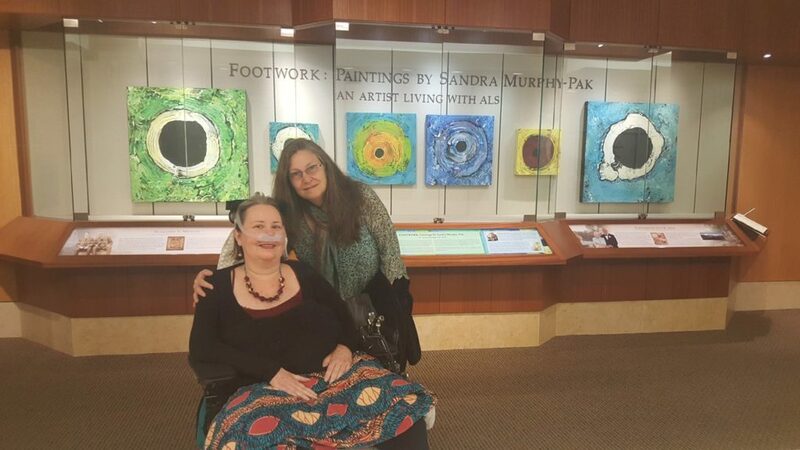 This week I drove my dear friend Sandra Murphy Pak to the Mayo Clinic in Jacksonville where she was interviewed and photographed by reporters from the Florida Times Union in front of a display of her artwork entitled “Footwork Paintings by Sandra Murphy-Pak, an artist living with ALS.” Below is a picture of us in front of her beautiful display in the lobby. Following the interview we all walked to another building where we met two engineers/inventors who are designing a mechanism which attaches to a wheelchair and allows the occupant to drive and steer by lightly biting down in various places. Sensors were attached to each side of Sandra’s face near her eyebrows. The sensors pick up on the motion in a muscle group there which telegraphs the jaw action and creates the signal. Sandra is one of their test drivers and this was her third journey to conduct a test drive and help them refine the program. It was fascinating to observe them work while Sandra carried out various prescribed maneuvers. They all seemed very happy with the progress they are making on the device which they named Xavier. Even though Sandra has no use of her hands and very little remaining mobility in her right foot she still plays an active contributing role in her life, that of her three girls, her art, the community she lives in, and the ALS community. Before being diagnosed with ALS Sandra was employed by the Arts in Medicine program at UF Health. She knows only too well the role of the creative arts in improving quality of life, especially for those dealing with significant health challenges. She is one of the most inquisitive and self possessed people I know. Check out this video about her, this link to her facebook page and this link to the article in the Florida Times Union. 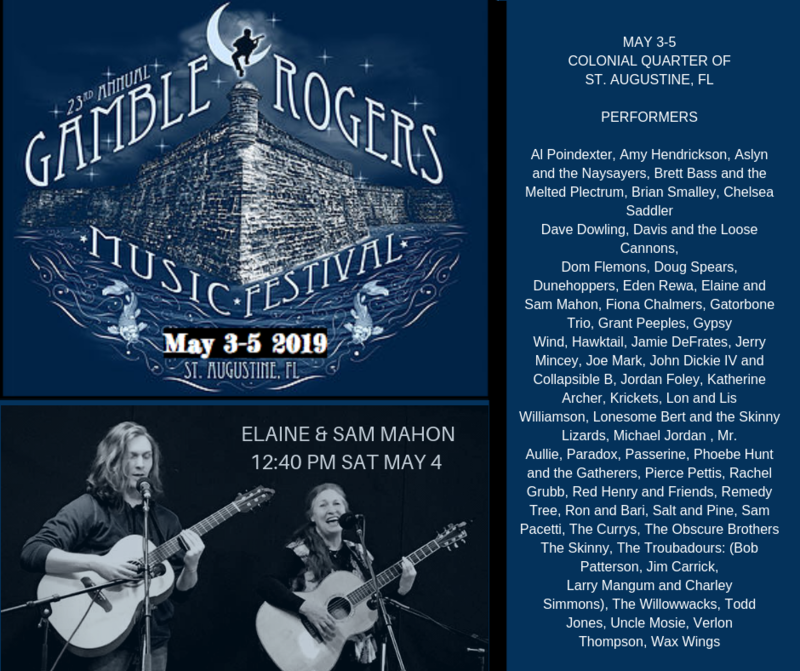 Sam and I are absolutely thrilled to be invited to play at the Gamble Rogers Festival this year! Come on out and make a weekend of it. There will be many wonderful musical acts and the setting for the stages is lovely. 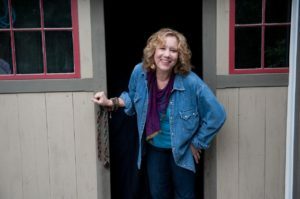 Many of Sandhill Stage’s favorite artists will be there (The Currys, The Krickets, Passerine, Brian Smalley, Sam Pacetti, Larry Mangum, Rachel Grubb etc. ), as well as many other wonderful performers for you to discover on your own! For family and friends in the St. Petersburg, FL area, Sam & I will be playing a house concert at the home of my dear friends Jeff & Ann Wolf. Please come if you can, we’d love to see you there. We are looking very forward to playing the Woodview Coffeehouse in July. This is a lovely little venue and a nice drive from Gainesville. We’d love to see some of you there! 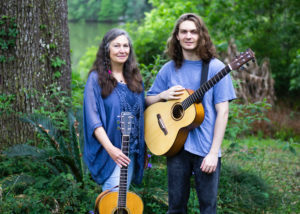 My friends from Summersongs Songwriting Camp, Sloan Wainwrightand Glen Roethel, are returning to Sandhill Stage on SAT APRIL 6. This is going to be a fantastic show. There is a potluck before the show which starts around 6:15 PM (after soundcheck.) Bring your favorite dish and we’ll provide utensils and beverages.